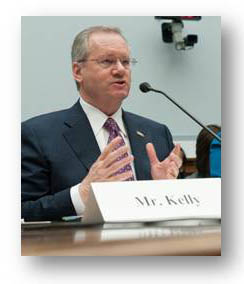 This is the message that NAHB Chairman Kevin Kelly delivered to Congress today during a hearing before the House Transportation and Infrastructure Committee’s Subcommittee on Water Resources and the Environment examining a proposed rule by the Environmental Protection Agency (EPA) and U.S. Army Corps of Engineers (Corps) to expand the reach of the Clean Water Act. “Unfortunately, the proposed rule falls well short of providing the clarity and certainty the construction industry seeks,” said Kelly. Expanding federal authority under the Clean Water Act would greatly increase the number of construction sites required to obtain appropriate permits, which would also delay, impede and raise the cost of construction projects. Moreover, this would add to the exorbitant backlog of permits, which currently range from 15,000 to 20,000. At the request of NAHB and other stakeholders, the EPA has announced a 91-day extension to the proposed rule’s public comment period from July 21 until Oct. 20, 2014.